The temporomandibular joint, which is also known as TMJ, is the joint that attaches the lower jaw to the skull. It can be found in front of the ears, on both sides of the head. It is responsible for allowing the jaw to close or open, which allows a person to eat or speak. TMJ is a term used to describe a collection of health issues which afflict the jaws of a child. Children may experience pain in their faces, tender joints, and problems moving their jaw. Research shows that up to ten million Americans suffer from this condition, and it is more common in male than female children. While TMJ can be treated, it is a challenging condition because of the many underlying causes that are associated with it. The causes for TMJ can be difficult to determine. However, trauma to the jaw or associated joints may be a culprit, as well as clenching or grinding the teeth regularly, deterioration of the joints, or structural problems in the jaw that the child is born with. 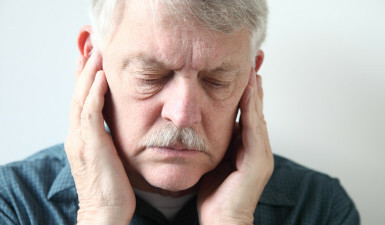 Poor diet and a lack of sufficient sleep have also been suggested as possible causes for TMJ. A diagnosis for TMJ can be notoriously difficult. This is because there are no specific tests which are used to diagnose it. Therefore, Dr. Samadi may refer your child to a dentist that can provide further evaluation. The jaws of the child will be examined to determine if they are tender or inflamed. Doctors may also use various imaging tests including MRIs, CT scans or X-rays to visualize the jaws, muscles and surrounding tissue. This can better allow them to detect abnormalities. In some cases, TMJ treatment can be undertaken at home. Some of the things which ENT for Children recommends include feeding the child soft foods, using ice to lower swelling, and teaching the child not to overuse their jaws. Parents should not allow the child to chew on tough foods such as beef jerky or chewing gum. An effort should be made to reduce the child’s stress and to use special exercises which will strengthen the jaw and improve its range of movement. If home treatments are ineffective, and the symptoms don’t improve, Dr. Samadi may provide pain relievers such as ibuprofen, as well as medicine designed to relax the jaw. Corticosteroid drugs can be used to lower swelling, and bite guards can be used to prevent the child from grinding their teeth. Contact us for more details on ways on how TMJ can be prevented and treated.